STARMARIE have some live action in store for you complete with a live band and black witchery. 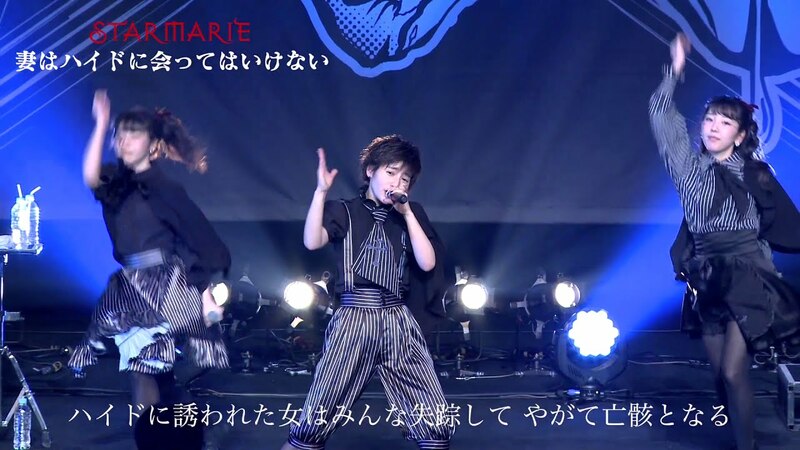 The live performance of “Tsuma wa Hyde ni atte wa ikenai” features some energetic choreography with quick arme movements and more than one synchronized jump in the air. 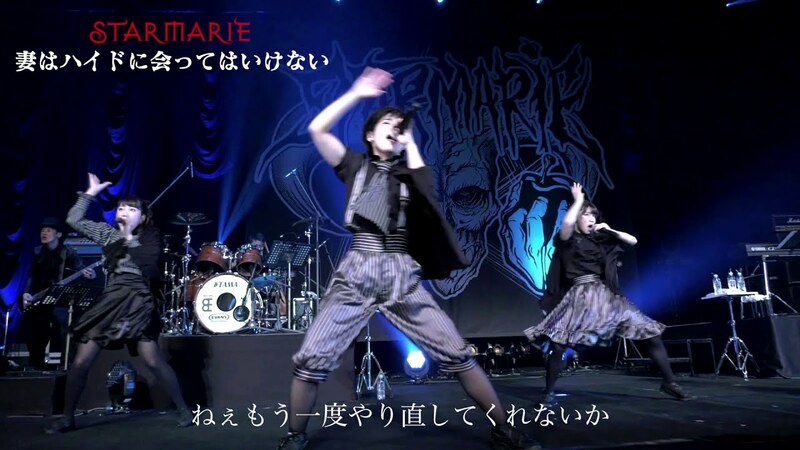 As with all things STARMARIE, a strong occult theme ribbons through the performance from the visual style, graphics, and even the reference to the Jekyl alter-ego. 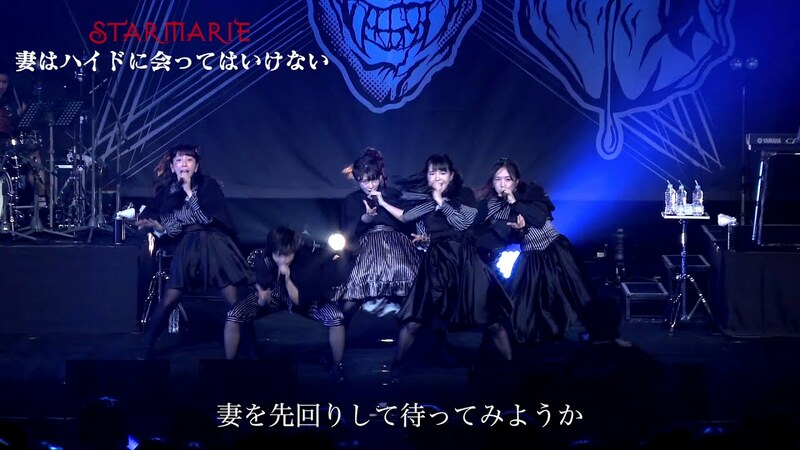 The strong performance is a definite seller for these girls and almost supersedes the rock influences and stylized visuals of the group. 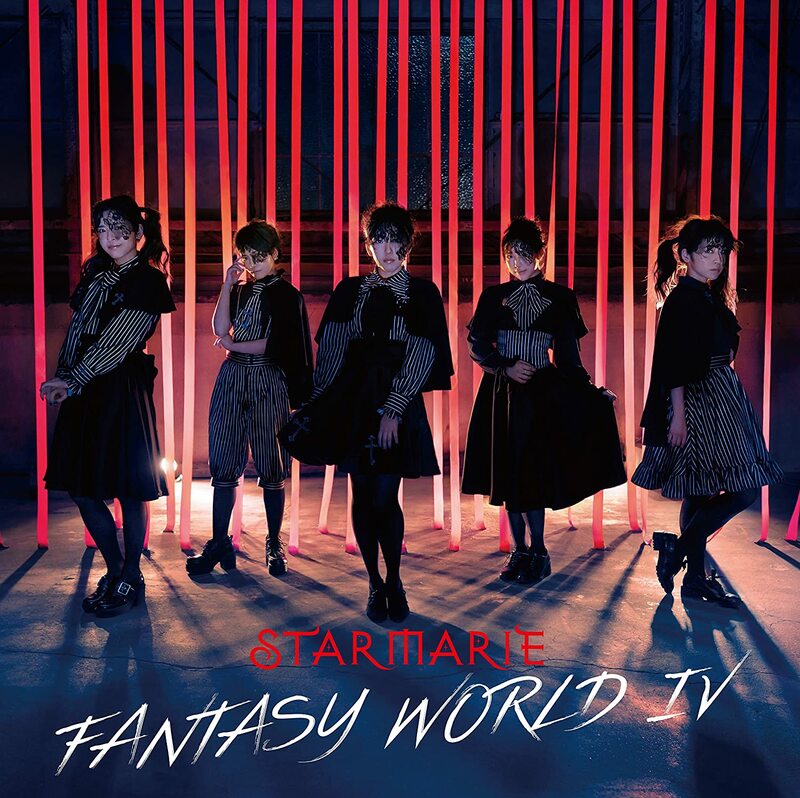 You can find “Tsuma wwa Hyde ni atte wa ikenai” on STARMARIE’s “FANTASY WORLD IV” album, available now at your favorite retailer.